Torch of Dignity Relay is for all human rights enthusiasts! 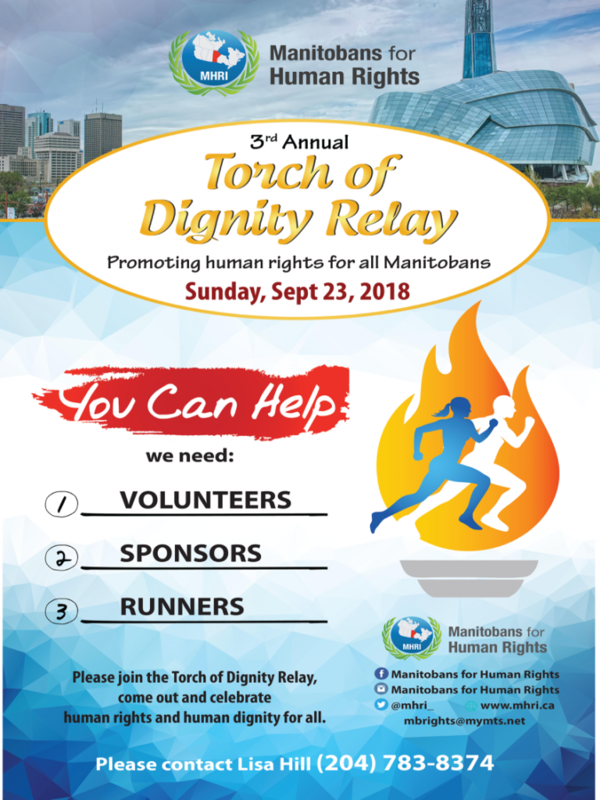 Manitobans for Human Rights is looking for runners, sponsors and volunteers for this years Torch of Dignity Relay on September 23rd, 2018. 100 organizations are to walk, run, or roll from 460 Bedson Street to Scotiabank Stage, The Forks for a free family event following the relay.